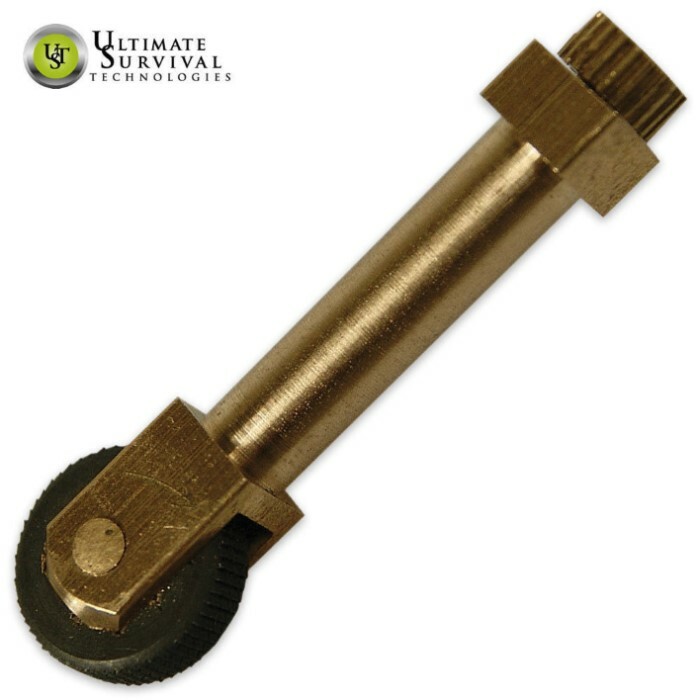 UST Micro SparkWheel Emergency Fire Starter | BUDK.com - Knives & Swords At The Lowest Prices! 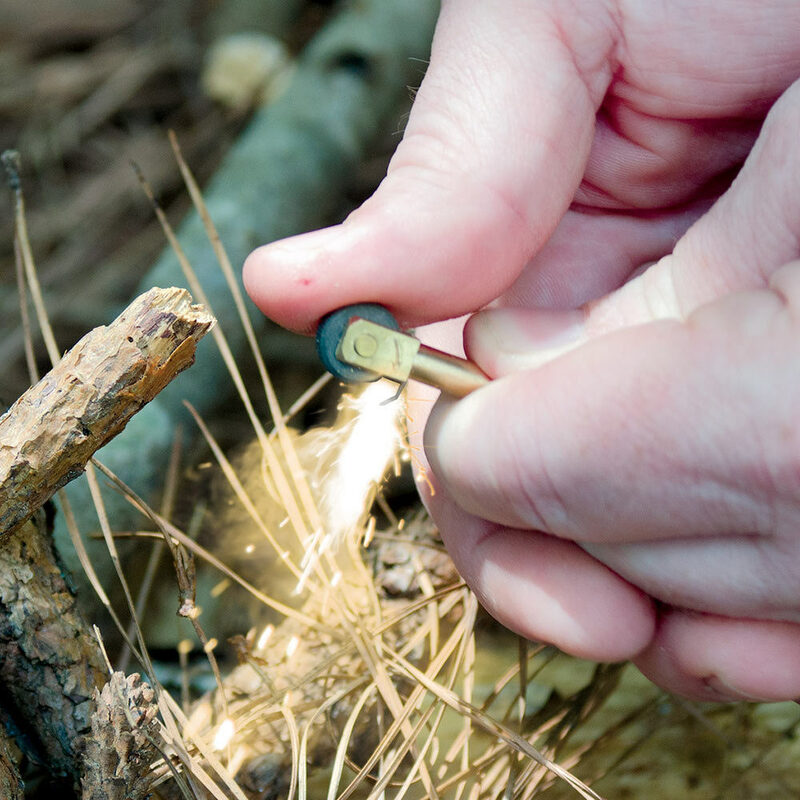 The Micro SparkWheel emergency fire starter is crafted of durable, high-quality brass with an adjustable tension spring to ensure a reliable spark every time. 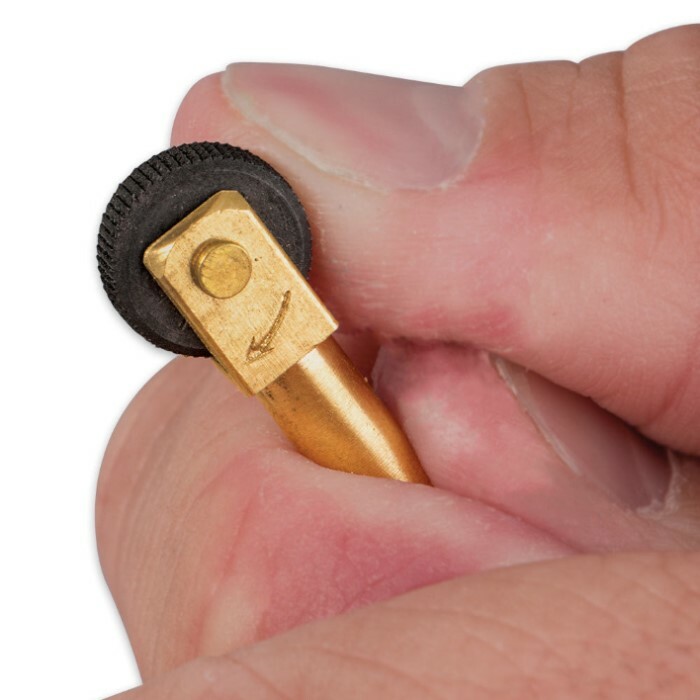 It includes three replacement flints in a compact waterproof tube. It's perfect to drop in your outdoors gear! The product works as advertised but its size can cause some issue if wearing gloves or hands are slick. a safety pin or means to pin it to your gear would be a great addition but its still well worth the cost. yes it's a good buy and will make a fine addition to your arsenal of stuff you need to survive !